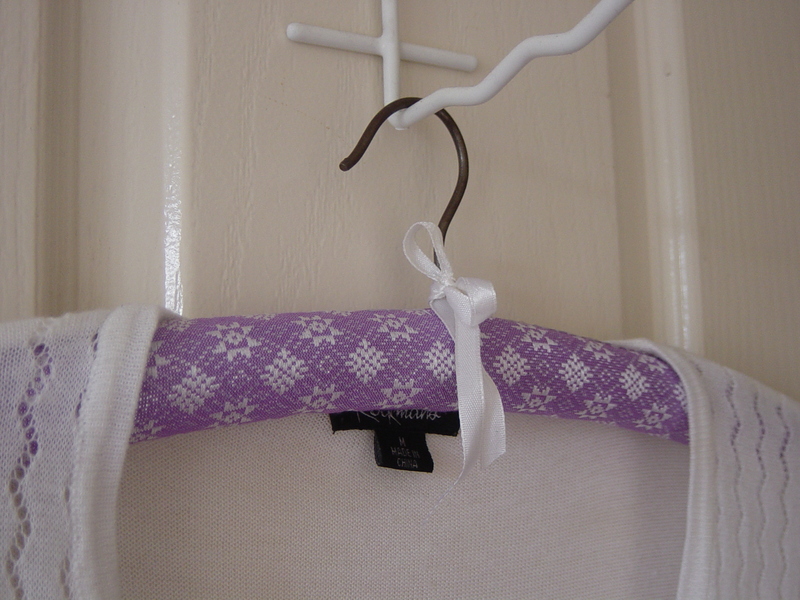 Every wardrobe is not complete without a few of these covered coathangers! I don't know why I haven't made these before, they are so easy. Many years ago I replaced all the old coathangers in my cupboard with plastic ones. But you know how these things multiply, right? 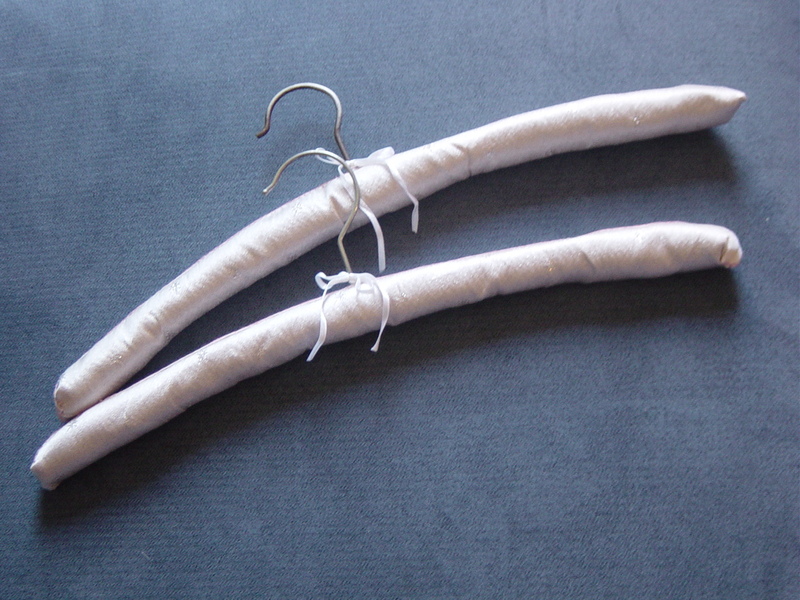 Somehow, I now have three old wooden hangers in my cupboards and I'm not sure how they got there! They really needed covering, the wood catches on delicate clothes, and the corners leave imprints in the shoulders. Covering them fixes that! I searched around on the net for ideas on how to do it, but they all seemed a bit too fussy. For mine, I just cut up some recycled foam packaging and secured it with elastic bands. 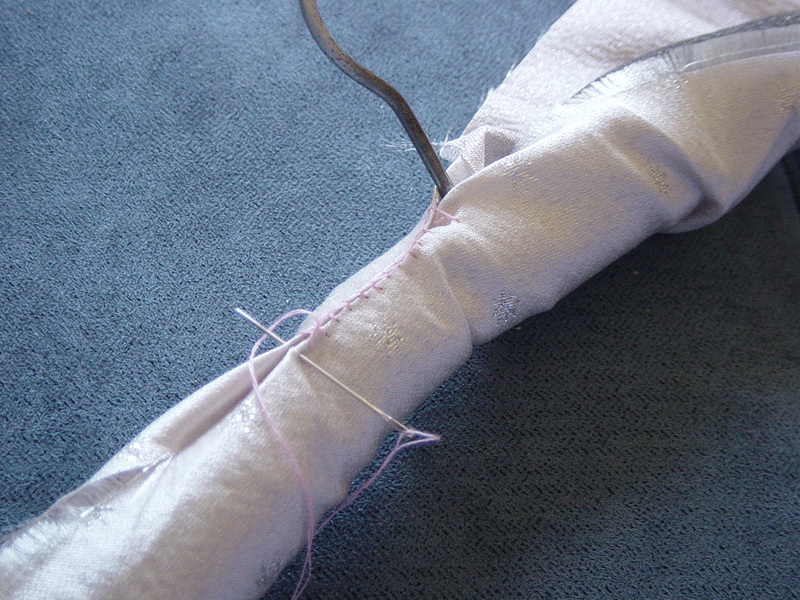 Then I simply hand stitched the pretty material straight over the top, folding in the edges, using blanket stitch. I folded in the ends and stitched that down, too. The lavender ones have pretty white buttons to secure the ends. 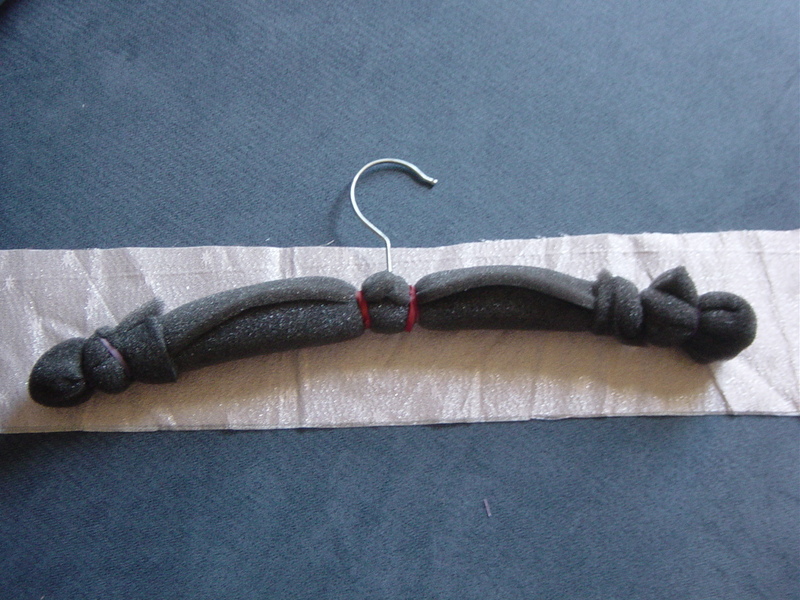 I then finished off with a very simple little bow to cover the tiny gap for the hook. These are a cinch and don't take long to make at all.